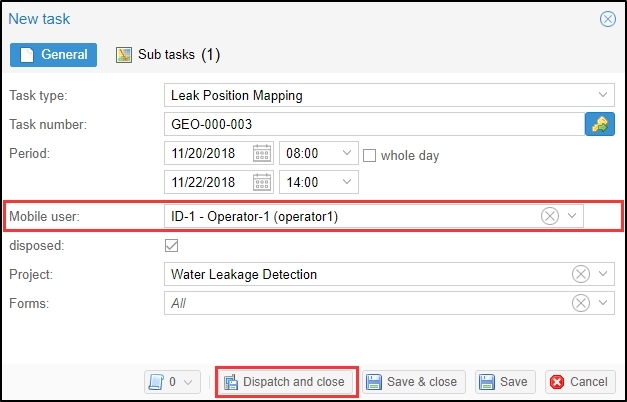 In this article, we will demonstrate how Geolantis.360 can be used to collect data, manage a workforce and be the central workforce management platform for a water loss management project. By using the Geolantis.360 web portal and the mobile field app we can manage our field team movements, create repeatable field processes, track the location and status of water network equipment, map the GPS position of leaks and enforce data integrity at each step. How to manage the water leakage inspection process with Geolantis.360? Use Geolantis.360 web portal to assign tasks to the field workers and manage their movements. 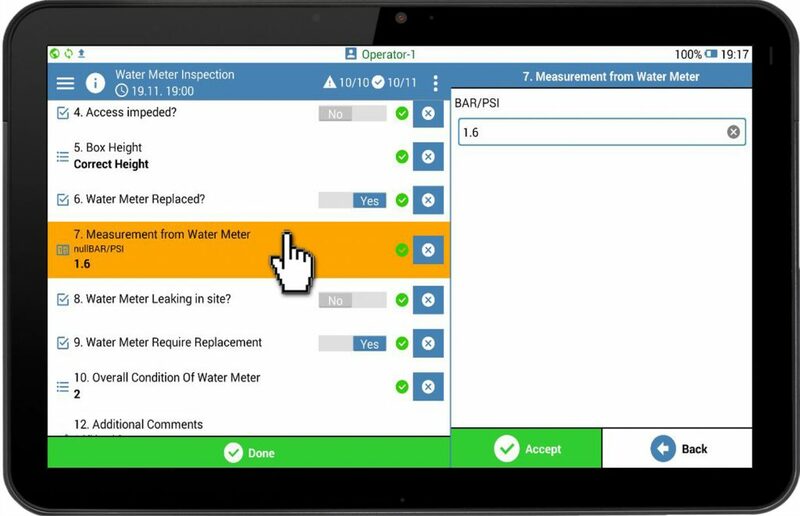 Geolantis.360 enables project managers to assign tasks that force a prescribed process, such as water meters inspection and pressure data collection. To manage all field workers and control their operation movements, start by storing all field workers in the Users page. Click here to learn more about Users Setup in Geolantis.360! Go to the Features page. Click on New Feature to draw a work area. 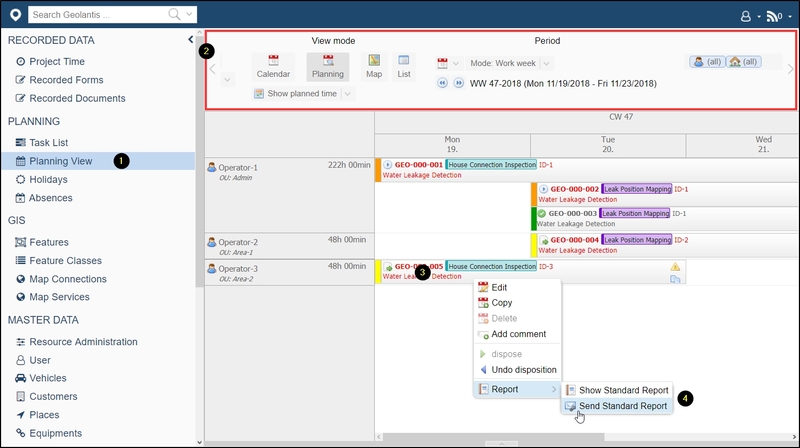 Add the work area to a New Task. 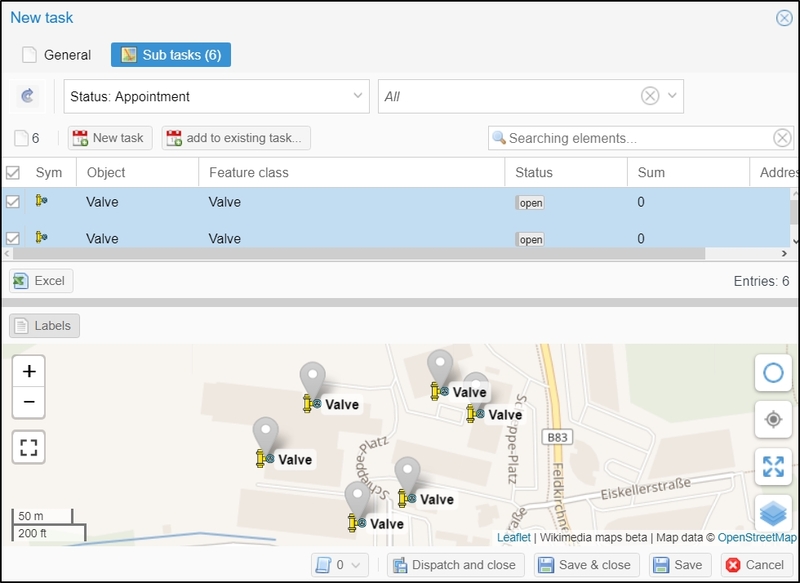 In the New Task screen, schedule and dispatch the task to a field worker. In Geolantis.360 field app the workers receive their assigned tasks, in this case, record water meter measurement, and completes the task within their designated work area. 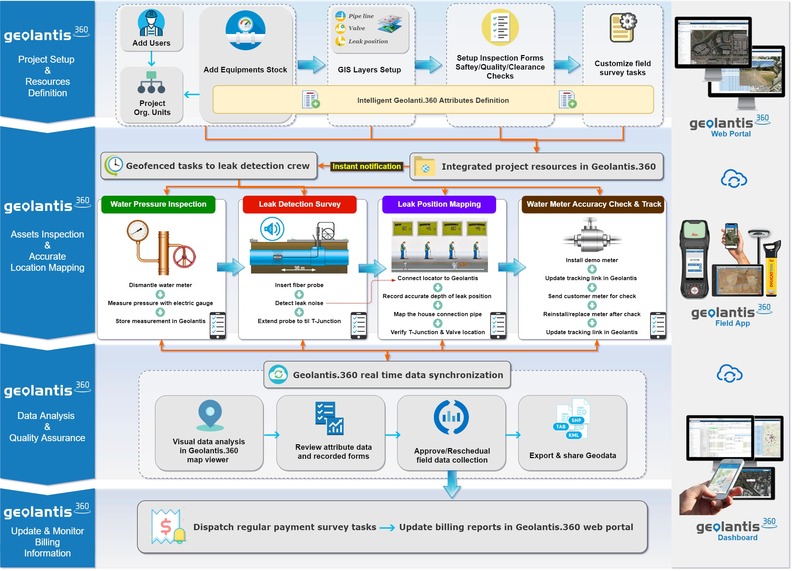 Project managers can simultaneously monitor and control the quality of the house connection inspection and the recorded water meter measurements through Geolantis.360 web portal. Go to the Planning View page. Filter tasks by date and/or worker. Select a task and right click. Review and share reports of recorded inspection forms by the field worker. Connect a pipe locator to Geolantis.360 field app via Bluetooth to start mapping the leakage position. Use the Collector module in Geolantis.360 field app and map the house connection segment where the water leakage is detected by an extended Sonde through the pipe. Log the leak position point where the noise from the Sonde is detected via connected Bluetooth speaker. 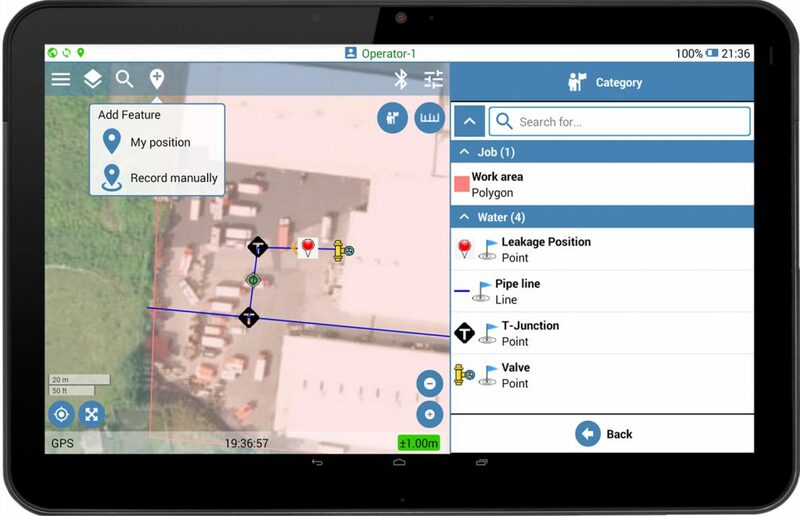 Geolantis.360 field app automatically fetches the depth value of the leak position from the pipe locator and synchronizes it to the web portal in real time. Geolantis.360 can track the location of equipment and complete related forms for equipment maintenance. In this example, we can register the movement of the meter from the house location to the testing factory location. Once the factory has inspected and potentially repaired the water meter, the factory engineer can complete a prescribed form that includes a description of the work completed and update status attributes attached to that specific item. Once a water meter test is completed, we can register the movement of the water meter back to the location of the house. This ensures continuous tracking of where each water meter is and it’s critical attributes. 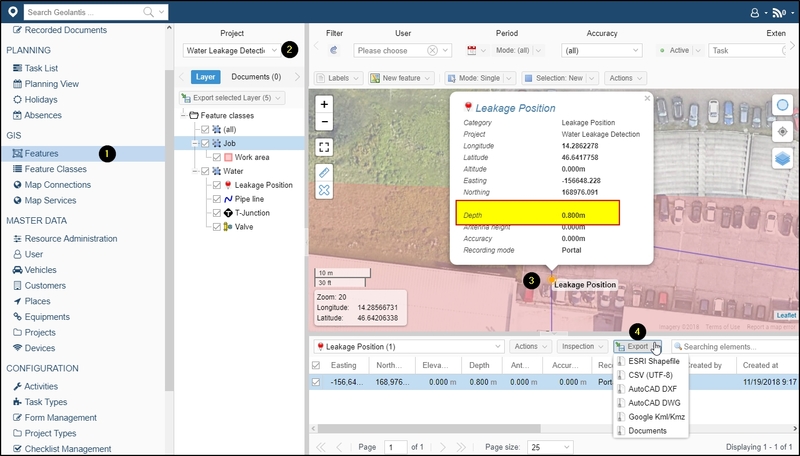 Click here to learn more about assets tracking in Geolantis.360! 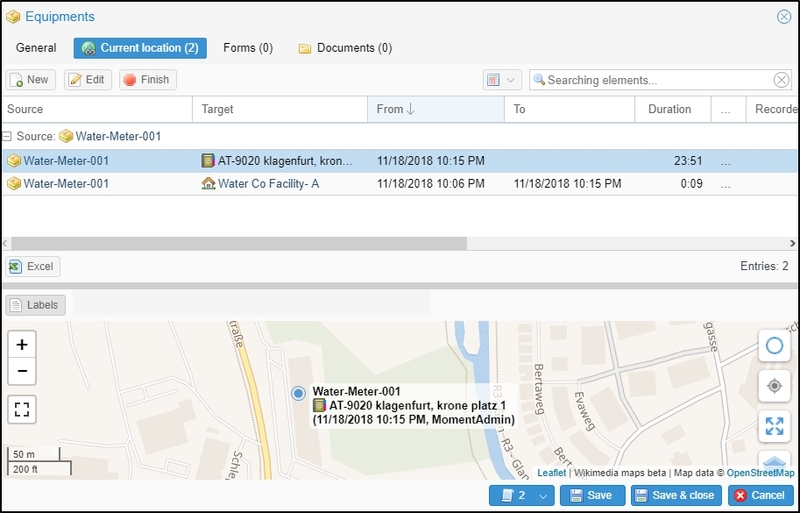 Assign field workers to the location of water network segments to document billing information via standard forms. Update the billing information at the water meter location. Verify the existence of water valves and t-junction points. After the data collection is completed by the field workers, review and export all submitted information to a variety of standard geo-data formats. Geolantis.360 provides an advanced GIS viewer to analyze collected leak position and attribute data. Use the Features page in Geolantis.360 web portal to visualize, edit, and export data to other GIS systems. 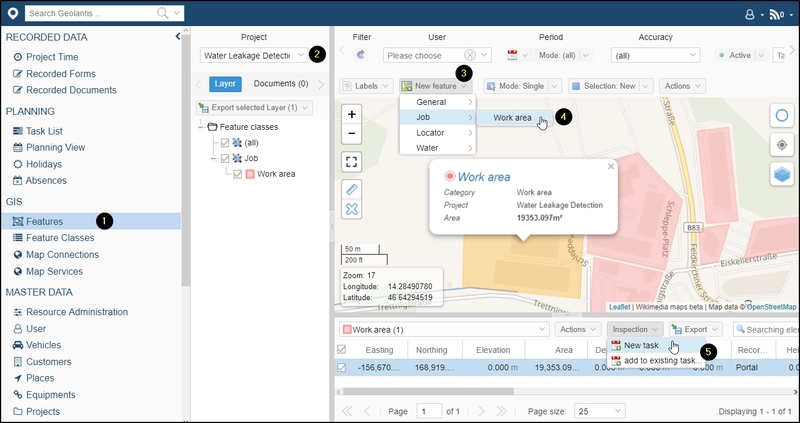 Click here to learn more about managing & visualizing project data in Geolantis.360! This is how Geolantis.360 simplifies the work-flow to manage the water inspection process end to end. Find our sample data in the downloads section below and contact us to get your trial access to try it on your own! How To Achieve Advanced Facility Management Using Geolantis.360? How to utilize Geolantis.360 for Assets Tracking and Assets Management? How to dispatch and manage tasks from Geolantis.360 web portal to field workers? How to configure email address of a task supervisor to receive a form report? How to organize working teams? © 2018 Geolantis GmbH. All Rights Reserved.